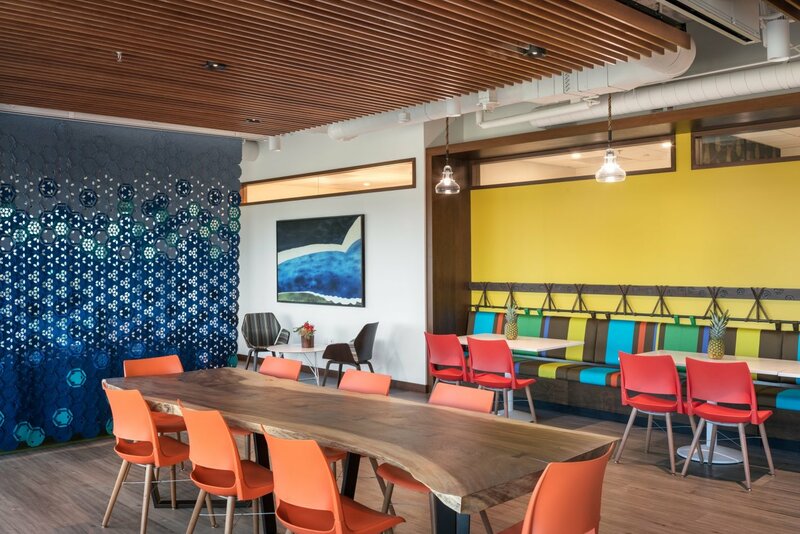 As a California transplant with Hawaii roots, Kings Hawaiian’s primary goal in the design of their new office was to reflect the firm’s island heritage and cultural roots. The organization, known for its bakery products, prides itself on its Hawaiian approach to hospitality based on graciousness, generosity, and a commitment to making everyone feel like a part of the Kings ohana, or family. We approached the project with a blend of craftsmanship, functionality and cultural authenticity. 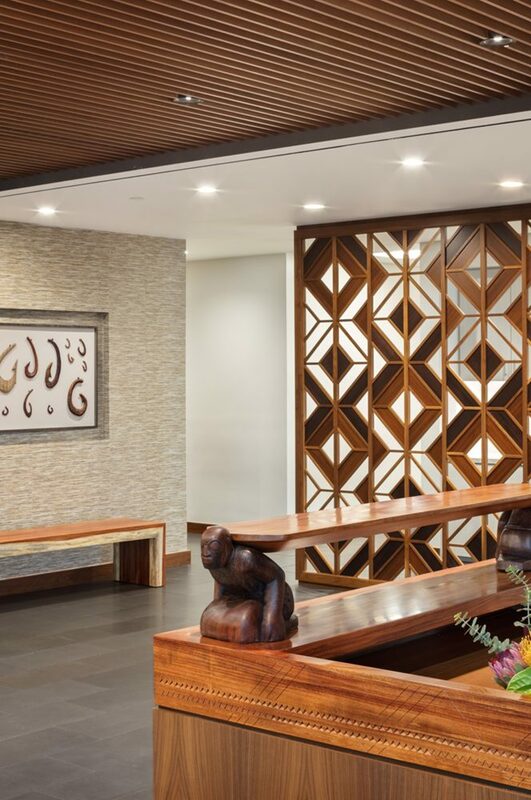 We commissioned local artisans for the custom millwork and a majority of the art was sourced from Hawaii artists. 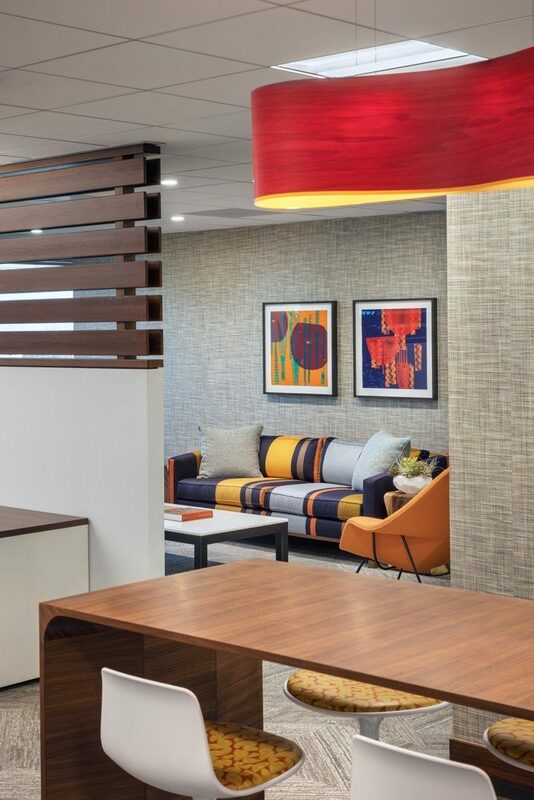 Island-inspired finishes were used throughout the space including: basalt from the Big Island which catches the essence of lava and is used in the reception area and flooring; a custom-designed tropical wood screen provides visual separation between the reception and coffee bar. 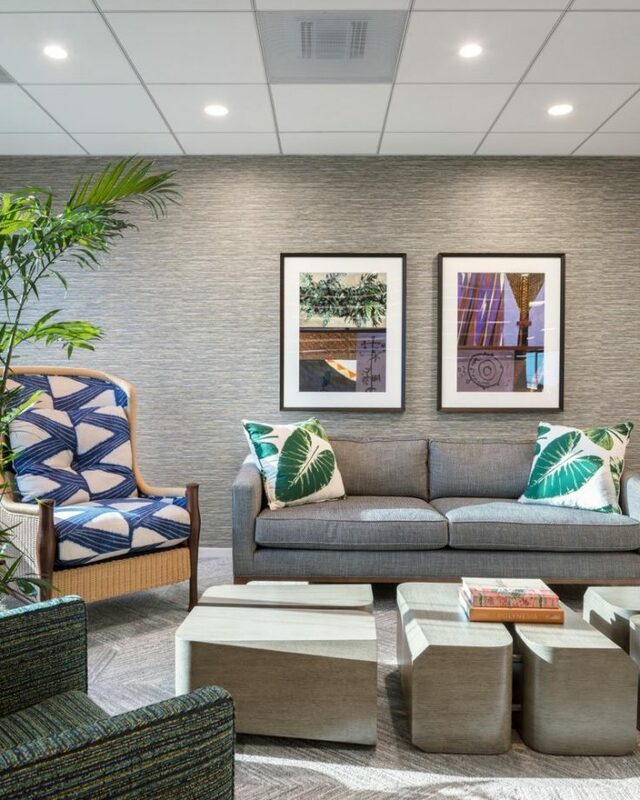 Furniture selection, fabric patterns, and lighting were specified to appeal to the staff’s young demographic and are tropically-inspired. 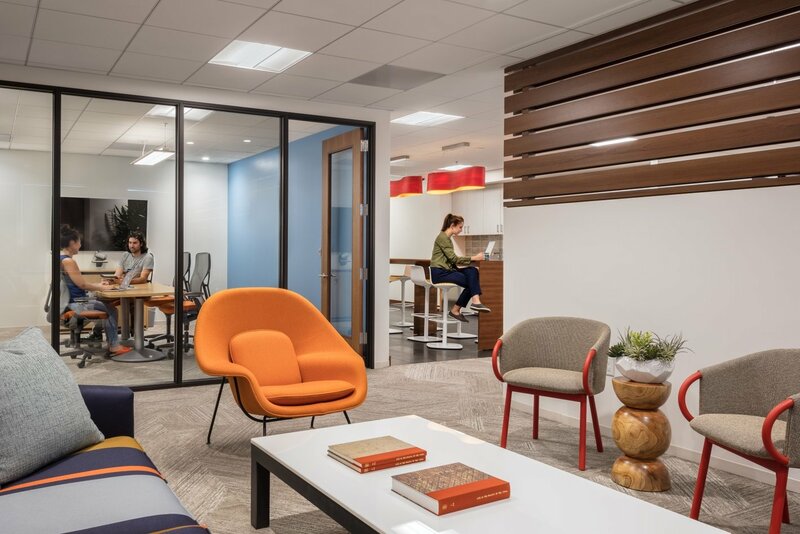 Collaborative spaces were created through the design of comfortable, energetic areas that encourage inter-action and provide staff with different choices of work style and environment. Flexible furniture components were integrated so staff could customize their stations (standing, different orientations etc). 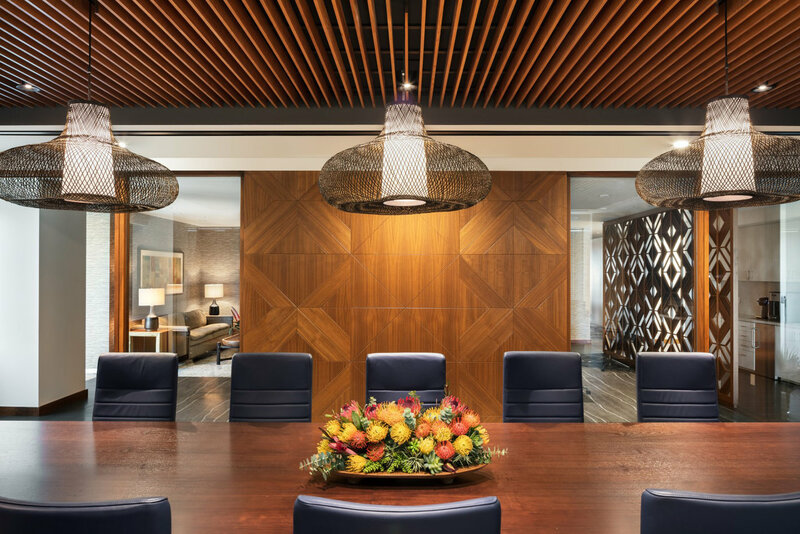 Exposed ceilings and suspended architectural wood grilles were used to define space, create visual interest and make spaces feel more expansive. A large communal and interactive multi-purpose dining room converts to a meeting space or lounge, as well as an area for cooking demonstrations. 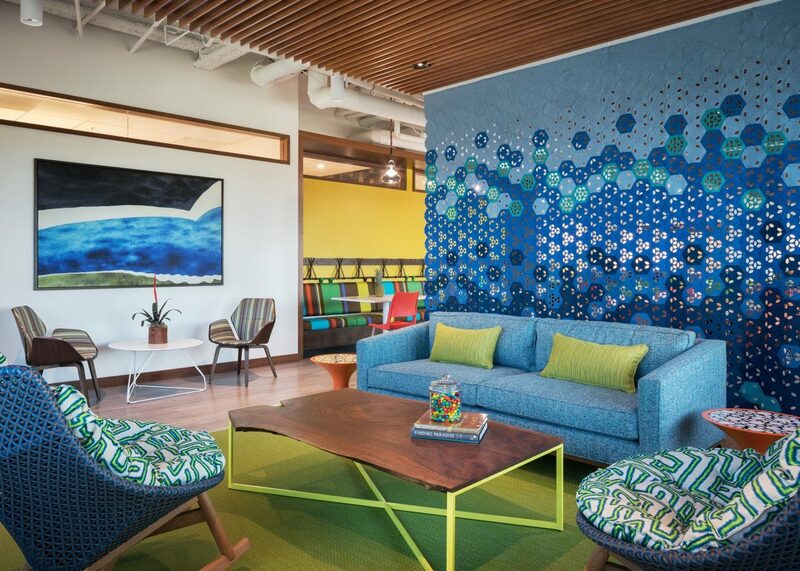 A custom-designed felt screen mural provides dynamic visual separation and can be easily demounted via Velcro strips allowing expanded use of the space.